we consistently strive to offer the professional and entire all-in-one office automatic solution at affordable prices. 1. 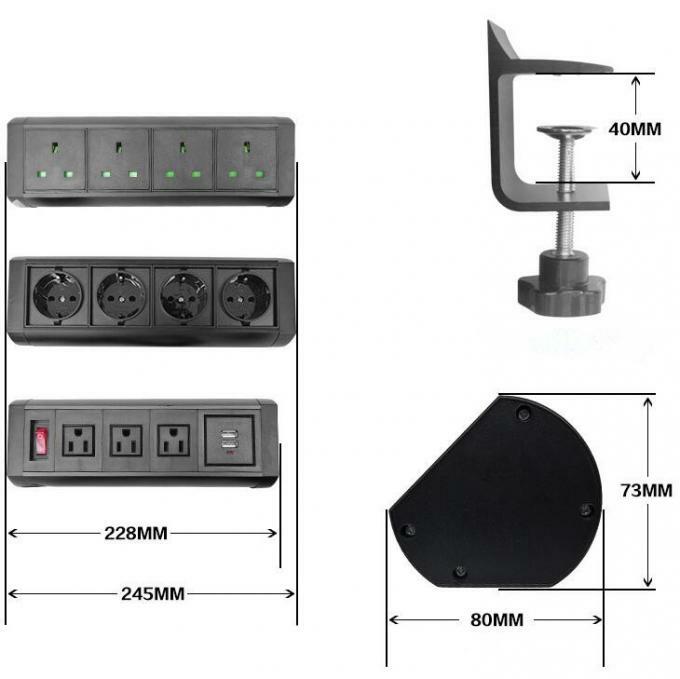 These sockets are combined by various function keys we produced.They can be customized according to project or operation place.There are universal,American,British,European,French,Italian,South Africa,Danish power.And weak functions have phone,network,HDMI,VGA,USB,USB Charge,audio,video and so on. 2. The part of aluminum can make different surface treatment according to customer's requirements,such as drawing oxidation,aluminium shell,electroplate.The normal color is silver.Other colors can also be customized. 3. It is very convenient to install this product.You can install them in every corner of the desk steadily.And it does not affect usage after you move them. 4. This product is easy to outgoing line.You can outgoing line by using the outlet hole of desk or along the table side.It reduce trouble of opening holes.Hotels and private residence can buy and use products directly. 5. 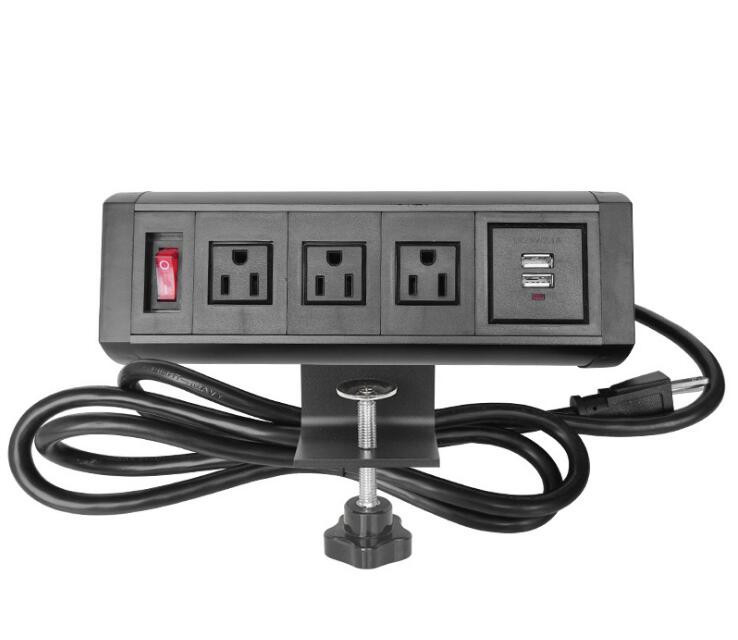 The new Table Clamp Mount Power Outlet & USB Charger will add instant convenient AC power and USB charging accessibility to your desktop. 6. Keep your laptops, tablets, phones, or other mobile computing devices charged and ready to go at your desk, in your conference room, or anywhere else power access is needed. Power sockets available Universal,European,USA,UK,Danish, Australia,South Africa,ect. Modules available network,phone,USB,USB charging,HDMI,VGA,3.5Audio,AV group,6.35Mic,Canon,Video,ect. China Good Quality Conference Table Socket Supplier. Copyright © 2018 - 2019 conferencetablesocket.com. All Rights Reserved.